On this day in 1918 Adrian Storm Rathbun, a railway clerk for the Southern Pacific Company, enlisted via the British Canadian Recruiting Mission, presumably in San Francisco, where he was living at the time, at 1105 Bush Street. He was born in Deseronto on February 11th, 1887, the son of Edward Wilkes Rathbun and Bunella (née McMurrich). The photograph above was taken on April 11th, 1909 on the veranda of the Rathbun family’s home on Main Street, Deseronto, and shows Adrian on the left, with Betty Caldwell, John Gzowski and Marjorie Braithwaite (on the right). In 1909 Adrian graduated from McGill University. John Gzowski graduated from the University of Toronto in 1910 and enlisted on November 13th, 1914, ending the war with the rank of Captain. Adrian joined the 68th Battery of the Canadian Field Artillery with the regimental number 2557478. He was five foot six and three quarter inches tall, with a fair complexion, blue eyes and brown hair. His service record shows that he arrived in England on the SS Tunisian on April 19th, 1918 and crossed the Channel to France in October. On December 28th he joined the 3rd Brigade of the Canadian Field Artillery. He was back in England in April and left for Canada on the SS Aquitania on May 19th, 1919. When he arrived back in Halifax he was treated for scabies at the Cogswell Street Military Hospital. He was demobilized in Toronto on June 3rd, 1919. In 1921 Rathbun was living in Burnaby Street, Vancouver. He married Robina Elizabeth Morrison on March 30th, 1922 in New Westminster. In 1930 the couple were living at 918 South Beacon Street in Los Angeles, where Adrian was working as an office clerk in an oil plant, according to the US census (taken on April 14th, 1930). He died three months later, aged 43, on June 30th, 1930 in Los Angeles. Edward Walter Rathbun enlisted on this day in 1915. He was born in Deseronto on December 28th, 1865, the eldest son of Edward Wilkes Rathbun and his first wife, Elizabeth How Burt. After the death of his father in 1903, E. Walter Rathbun took over the running of the Rathbun Company. He was mayor of Deseronto, like his father before him, in 1914 and was also active in provincial and local politics: between 1905 and 1908 E. Walter represented Hastings East in Ontario’s Legislative Assembly. In the 1901 census the Rathbun household comprised E. Walter, his wife Aileen and his mother-in-law Emma C. C. Blair. Rathbun had married Aileen Blair in Portsmouth, England, in 1893. At Deseronto, on Saturday night the opera house was filled with an enthusiastic audience of well-wishers to Col. Rathbun and his gallant comrades, who are going to the front with the guns of the 6th Brigade. An address was presented by those associated with him from boyhood, and patriotic music by local talent, led by Mr. Hercher [Herchimer] Aylesworth—a host in himself—stirred all present. Colonel Ponton, of Belleville, carried the greetings of the Bay of Quinte District and comrades-in-arms west of Deseronto, and congratulated both the gallant Colonel and the Town on having the honor of furnishing a commander of a Brigade, which General Lessard has pronounced one of the best ever inspected in the whole Dominion in organization, spirit and efficiency. He arrived in England in March 1915, when his brigade of the Canadian Field Artillery was transformed into the Canadian Reserve Artillery. 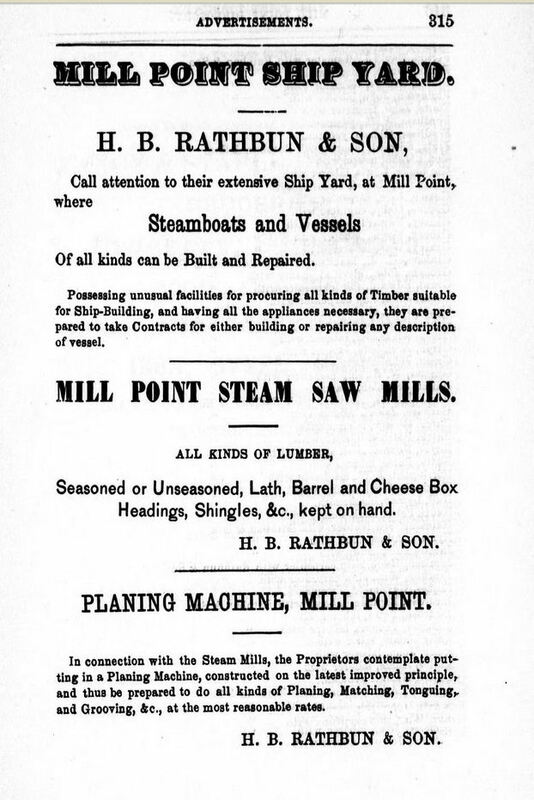 Rathbun himself was transferred to the Canadian Forestry Corps when it was established in 19162: presumably as a consequence of his experience in running the Rathbun Company’s lumbering business in Deseronto. The Forestry Corps was established to harness Canadian expertise in the lumber industry to supply the Western Front with the wood it desperately needed. It operated in England, Scotland and France. 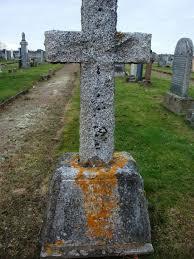 His service record shows that he was struck off in September 1917 and returned to Canada on the SS Carmania. 2 For a history of the Corps in the First World War, see The Canadian Forestry Corps, by C.W. Bird and J.B. Davies, published in 1919. I’ve been lucky enough to be invited to Winnipeg to talk about our work at Deseronto Archives and so today I had the chance of standing in the same spot to try to recreate the photograph. 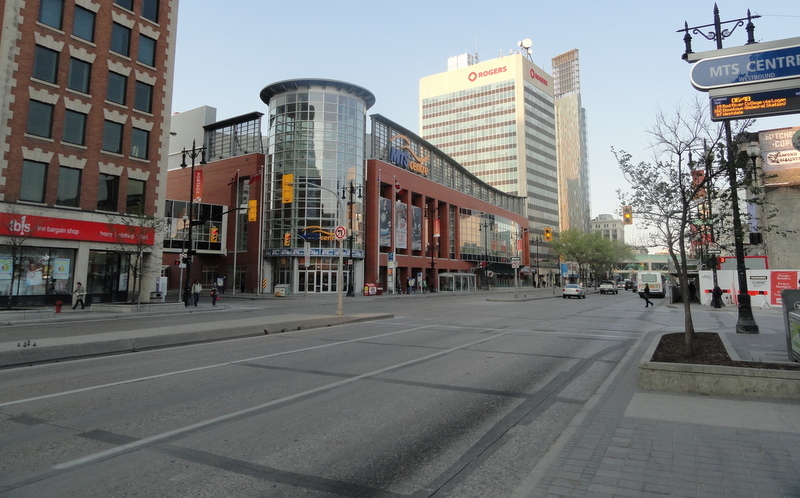 Actually I couldn’t stand in exactly the same spot, as it looks like Harold was standing in the road, which isn’t something I’d recommend on a weekday morning in the rush hour in today’s Winnipeg. 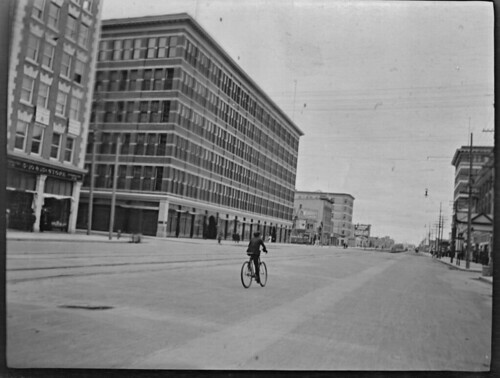 The only structure which is still recognizable from Harold’s photo is the Somerset Building, 294 Portage Avenue, which you can see on the left of the shot. The Eaton’s store has gone, replaced by the MTS Centre and there are now some trees softening the lines of the road and buildings. 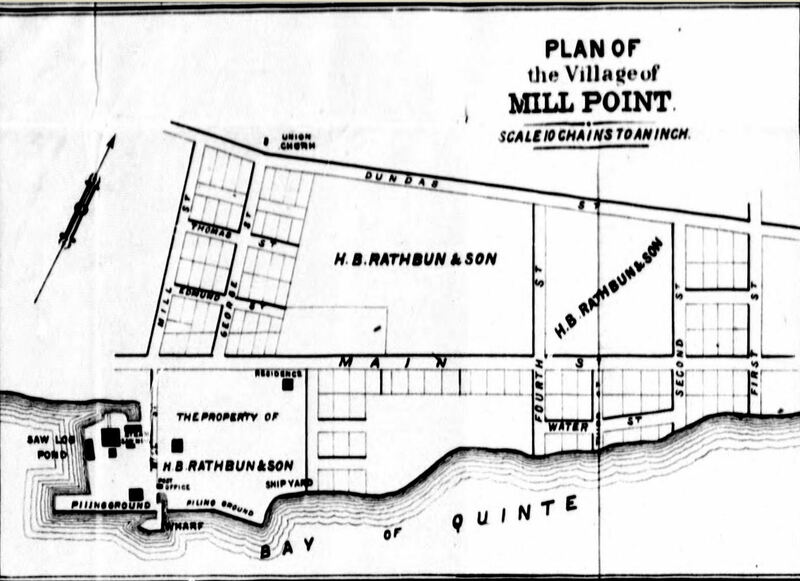 From a Hastings County directory of 1868-1869, this map shows the street plan of the village of Mill Point, later to become the town of Deseronto. 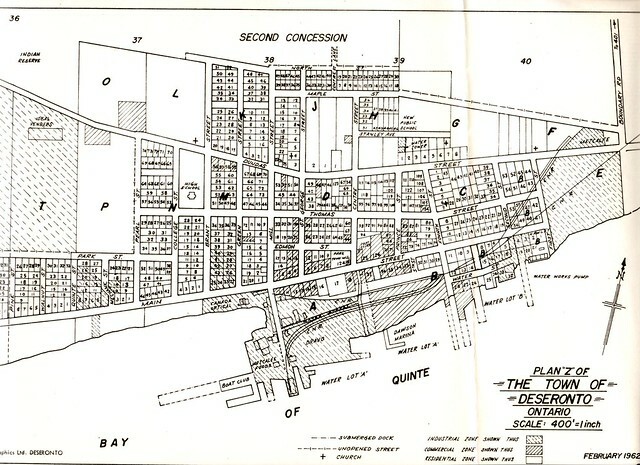 The 1869 map also shows the location of Deseronto’s first church, at the top of [St.] George Street, close to the current location of the Presbyterian Church of the Redeemer. The Union Church had been built in 1868 as a shared place of worship: the Anglicans had a service there in the morning, the Presbyterians in the afternoon, and the Methodists in the evening. This house no longer exists. To the front, it looked out on Central Park (now the Rathbun Memorial Park), which was laid out at E. W. Rathbun’s expense. He brought in A. J. Hopkins, a landscape gardener from Oswego, New York, to do the work. The back of the house would have afforded good views of the Rathbuns’ industrial empire along the waterfront of the Bay of Quinte: Edward Wilkes Rathbun was clearly a man who liked to keep a close eye on his business! …then the Archives’ Flickr account is now worth a cool one million! Today we uploaded our one thousandth photograph to Flickr. This milestone means that nearly every photograph held in our small collection is now available to view by anyone with access to the Internet. This is a huge step forward for us, as physical access to our resources is limited to our public opening times of six hours a week. Now they are available every day of the week! One of the most exciting parts about our Flickr experiment has been the willingness of other people to share their historic photographs and objects through this medium. A fair proportion of the items in our Flickr pages are held outside of the archives. We are very grateful to the owners of those materials for their permission to share them with a wider audience. The only information we had about the church originally was a caption written by Harold McMurrich Rathbun, the photographer, which read “Old Greek Church, Winnipeg”. A Flickr user recognised the church as the ‘Tin Can Cathedral’, a Ukrainian Orthodox church which was situated at the junction of King Street and Stella Avenue in Winnipeg. This was North America’s first independent Ukrainian church. Another view of this church can be seen in the collection of the Glenbow Museum. That photograph shows a cupola on the roof of the church, which was missing by 1907 when Rathbun took his photograph. This is just one example of the power of sharing our images on the Internet. With the help of other people our descriptions become more accurate and more people become aware of the interesting things we hold. Things that would once have required a determined effort (and a trip to Deseronto) to find out about. A million thanks! In an earlier post we described Harold McMurrich Rathbun’s trip by steamship and railway across the prairies to Edmonton. Two years after this excursion, the 31 year-old made took a 41-day camping journey into the wilderness of north-eastern Ontario (what is now Timiskaming District). In 1909 the area was busy with prospectors and miners as silver deposits had been discovered in Cobalt in 1903. By 1908 silver was also being mined in Gowganda.1 Rathbun’s photograph above was therefore taken in the very early stages of the settlement of this town. It shows the Canadian Bank of Commerce’s Gowganda branch which was of sturdy log construction, in contrast to the other, more insubstantial structures depicted here. The building behind the bank has the words SILVER and THEATRE on it, suggesting that the prospectors and miners were not short of entertainment in those early years. 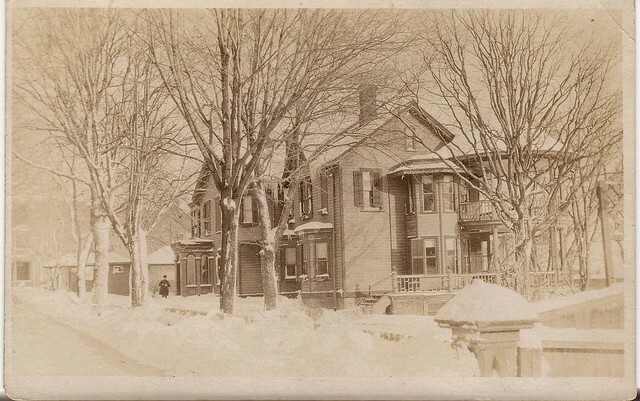 Rathbun also took a photograph of Baxter’s Hotel, which appears to have been very newly-constructed. There were no Baxters listed as living in the area in the 1911 census, so perhaps this was only a short-lived enterprise.